WASHINGTON, DC, March 22, 2011 (ENS) – The federal government has awarded Shell Offshore Inc. the first new deepwater oil exploration plan approved since the BP Deepwater Horizon explosion in April 2010 and the three-month long oil spill that polluted much of the Gulf of Mexico. Secretary of the Interior Ken Salazar and Michael Bromwich, director of the Interior’s Bureau of Ocean Energy Management, Regulation and Enforcement, BOEMRE, said Monday that the bureau approved Shell’s Exploration Plan, following the completion of a site-specific Environmental Assessment for deepwater oil and gas exploration. The agency approved Shell’s supplemental exploration plan that proposes activities not included in an original plan for the same lease in Shell’s Auger field, which was approved in 1985. In the supplemental plan, Shell proposes to drill three exploratory wells in 2,950 feet water depth, 130 miles offshore Louisiana. The supplemental exploration plan included new scientific information that had not been previously available for consideration or analysis. Based on its review, BOEMRE found no evidence that the proposed action would significantly affect the quality of the human environment. Therefore, BOEMRE determined that an Environmental Impact Statement was not required and issued a Finding of No Significant Impact, which allowed the supplemental plan to be approved. But environmental groups are far from sure the Gulf will be safe when deepwater oil exploration resumes. “By approving a new exploration plan in deep water, Secretary of the Interior Salazar has essentially determined that deepwater drilling in the Gulf has no significant environmental effects – a position that seems untenable in the wake of the Deepwater Horizon oil spill,” said Miyoko Sakashita, oceans director at the Center for Biological Diversity. The Center for Biological Diversity and other environmental groups commented on the exploration plan prior to its approval, urging the Interior Department to prepare a full environmental impact statement. Sakashita environmentalists are also concerned because federal officials have not yet made their environmental assessment for this lease available for public review. The Center for Biological Diversity has two lawsuits pending that challenge the government’s failures to comply with environmental laws while permitting offshore drilling in the Gulf of Mexico even after the BP rig exploded on April 20, 2010. The Center also has pending a $19 billion Clean Water Act suit against BP to make sure that the oil giant is held responsible for environmental cleanup of the millions of gallons of oil that spilled into the Gulf of Mexico during the worst offshore oil spill in U.S. history. 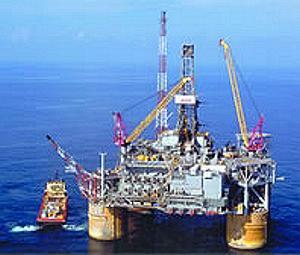 The oil and gas industry has been insisting that the federal government allow deepwater drilling to resume in the gulf. “Limiting permits to projects that were operational prior to the moratorium is evidence that this administration lacks a robust energy strategy capable of meeting increasing demand and the development of domestic resources this country needs,” Milito said.